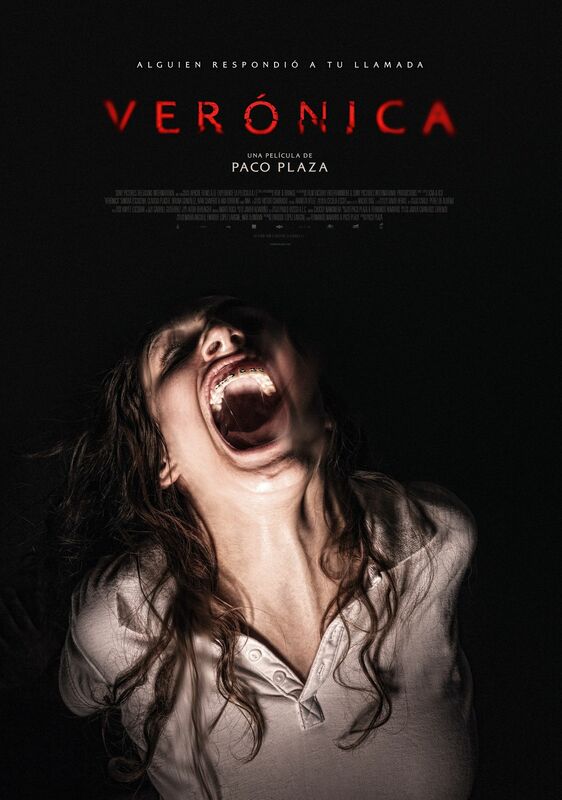 Verónica is last year's surprise horror hit from Spain and touted as Netflix's 'scariest movie ever' in mainstream press and social media alike, deserved or not. Released domestically as La Posesión de Verónica, but abbreviated to Verónica for international release, it was released on Netflix on February 26 with little to no promotion to speak of. No other movie in recent memory was received to such widespread response – and the general hysteria surrounding Verónica will remind the more cynical among us of two movies from the mid-to-late 90s called The Blair Witch Project (1999) and Ringu (1998) that got similar reception. Verónica was nominated for 7 awards during the 2018 Goyas and screened in the Contemporary World Cinema section at the 2017 Toronto International Film Festival. Not bad for an rather uneventful little genre exercise that would’ve certainly languished in obscurity otherwise. Thankfully it is partially redeemed itself by introducing a young new talent by the name of Sandra Escacena to the world. Spain has a long and rich history in horror and terror cinema that dates all the way back to the mid-to-late sixties. Directors as Paul Naschy, Jesús Franco, Amando de Ossorio, Enrique López Eguiluz, Javier Aguirre, Miguel Iglesias, and León Klimovsky reigned supreme during the exuberant seventies and remained active when interest in the genre waned in the eighties. As in the prior decades Spanish horror once again underwent a transformation and greeted the nineties in a new form. Spanish horror always took after its American inspirations but it wasn’t until the nineties that Spanish directors were really able to match their American peers. 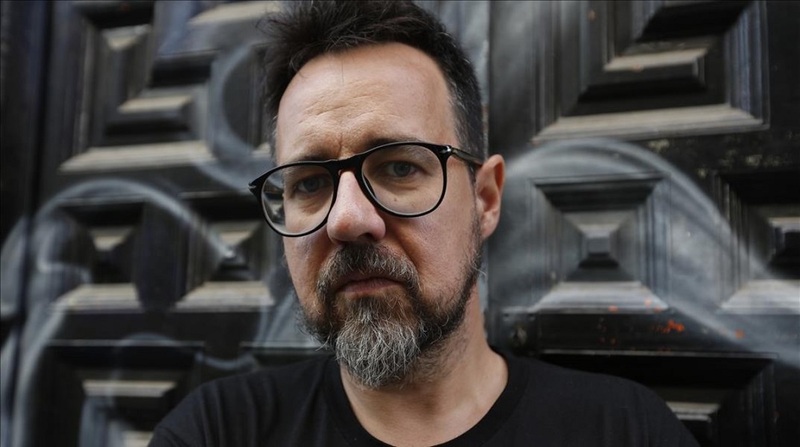 Álex de la Iglesia shot the genre back to relevance with his second directorial feature as did Alejandro Amenábar with his debut thriller Tesis (1996) a year later. Amenábar briefly flirted with Hollywood with the supernatural thriller The Others (2001) but returned to his native Spain after his Abre los Ojos (1997) was remade by Tom Cruise as Vanilla Sky (2001). Following soon in the footsteps of de la Iglesia and Amenábar were directors/screenwriters like one Jaume Balagueró. The director of Verónica is Paco Plaza - a protégé of that other darling of Spanish horror cinema, Jaume Balagueró – with whom he co-directed [Rec] (2007) and its sequels. Balagueró was in no small part responsible for the resurgence of Spanish horror in the barren decade that was the nineties. While it was Álex de la Iglesia and his The Day Of the Beast (1995) that truly heralded a new age for Spanish terror, Balagueró made a name for himself with the supernatural thrillers The Nameless (1999) and Darkness (2002). That Plaza would eventually venture out on his own was expected – and Verónica is exactly the kind of horror feature he was destined to write/direct. Plaza knows his horror and Verónica borrows liberally from all the obvious sources. It’s well-made and probably better written than it has any reason to be, even if it tends to be on the anemic side in terms of actual horror and shocks. Verónica (Sandra Escacena) is a 15-year-old adolescent left to care for her younger siblings, Lucía (Bruna González), Irene (Claudia Placer) and Antoñito (Iván Chavero) as her mother Ana (Ana Torrent) works late shifts in the local bar-restaurante to make ends meet. During a lesson about the upcoming solar eclipse Verónica and her friends Rosa (Ángela Fabián) and Diana (Carla Campra) decide to hold a séance. As the rest of the school is watching the eclipse outside the three girls convene at the basement to conduct their séance. Diana wants to contact the spirit of her boyfriend who died in a motorcycle accident and Verónica wants to communicate with her late father. The glass on the Ouija board immediately responds to the girls’ touch becoming too hot to touch while Verónica remains impervious to the heat. As the eclipse is complete the glass shatters leading Verónica to spill blood on the Ouija board which tears itself in half. The next moment the girls find Verónica lying unresponsive, until she suddenly lets out a scream and passes out as the lights start to flicker. When she opens her eyes she’s in the nurse’s office who shrugs off Verónica’s condition as a mere iron deficiency. At home paranormal occurences start to happen around her: claw and bite marks appear on her body, strange noises emit from empty rooms, objects move by themselves and Verónica starts to experience hallucinations, and the ghost of her late father starts appearing to her. 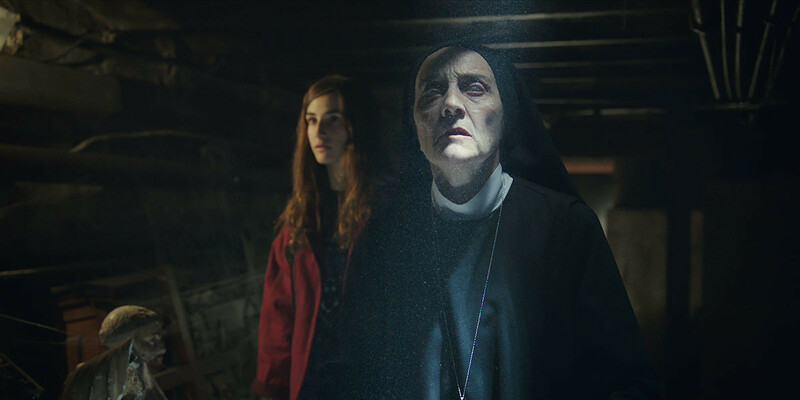 In school Rosa and Diana start avoiding her and in the basement Verónica runs into the ghoulish Hermana Muerte (Consuelo Trujillo) in whom she confides in about the séance she conducted. Hermana Muerte scolds Verónica for dabbling with something she can’t possibly begin to understand. The woman of God has had her own brush with the supernatural and advises the girl to close whatever gate she opened and to protect her siblings from whichever horror she unwillingly summoned. In the following days the hauntings continue as Verónica fights tooth and nail in warding off whatever malign entity she summoned from the shadows. She learned from Hermana Muerte that it is important to say properly goodbye to whatever she summoned and, in her darkest hour, Verónica and her sisters try to appease the spirits by performing a ritual. The situation at home deteriorates to such a degree that the kids’ mother Ana even rushes back to the house, and after an emergency call the police show up. Detective Samuel Romero (Chema Adeva) is assigned the case and when he reaches the Gomez homestead he finds a picture of Verónica, soon becoming too hot to touch, and the girl herself expired from what appears to be mortal fright. The case, of course, leaves the police puzzled. Doe-eyed Sandra Escacena is the biggest surprise in Verónica. With talent to spare she embodies the titular character with every fibre of her being. Escacena has the same disarming innocuous demeanor as Tina Sáinz in 1971 and that sizzling Mediterranean sense of sensuality that legendary Spanish cult actress Soledad Miranda (or, more recently, Paz Vega) had. Escacena might very well become the next Spanish superstar if her performance here is anything to go by. Hopefully she'll be able to choose the right roles and projects in the wake of Verónica's overnight success. The sparse few scenes she shares with Ana Torrent, the star of Alejandro Amenábar’s chilling Tesis (1996) 20 years before and the prerequisite veteran of the cast, are among the strongest moments Verónica has to offer. The other child actors acquit themselves admirably considering there isn’t much meat to any of their parts and they exist largely to amplify Escacena’s role. Ángela Fabián and Carla Campra fill out their supporting parts as Verónica’s school buddies well enough but that’s the extent of their importance. Here’s hoping that Sandra Escacena turns into the next Cristina Galbó, Penélope Cruz or Ivana Baquera. What would Spanish horror be without its sturdy reliance on Judeo-Christian symbolism and iconography? Nothing and Verónica is no different in that respect. Verónica is a Catholic schoolgirl and the nuns that run the school conform to the usual clichés. There are a multitude of crucifixes (brandished either by the nuns or by Verónica) and at one point a halo is projected onto Verónica. Hermana Muerte is probably the single best character next to Verónica herself and the ominous warnings she utters make the tension tangible. Hermana Muerte is as ghoulish, sickly and ashen as the apparitions and shadows that haunt Verónica and her siblings. Hermana Muerte’s cynical remarks help drive the point home that secularism will be punished. Dabbling in the occult for selfish reasons will get you killed. Of course Verónica is a completely different kind of possession movie than the Spanish productions that flooded the market in the wake of William Friedkin’s The Exorcist (1973). Verónica draws from a whole different set of influences but it preys on the same Judeo-Christian fears and superstitions like its ancient predecessors in decades past. Verónica is clearly for the Hong Kong ghost crowds. One of the greatest strengths of Verónica is that it aims to be more than just a horror movie. It uses the trappings and conventions of the demon possession and haunted house subgenres to tell a completely separate and more dramatic tale. Underneath Verónica is about a current-day dysfunctional family unit wherein a hard-working mother and her children mourn the loss of their father and come together through hardship. It’s a coming-of-age story wherein Verónica’s first period coincides with the height of the hauntings and where demonic possession is a thinly-veiled metaphor for puberty. Verónica liberally borrows from Poltergeist (1982), The Craft (1996), Ringu (1998), The Eye (2002), Dark Water (2002) and Paranormal Activity (2007) among others. The framing device that bookends the main portion of the story merely exist to tie it to a story torn straight from the headlines. 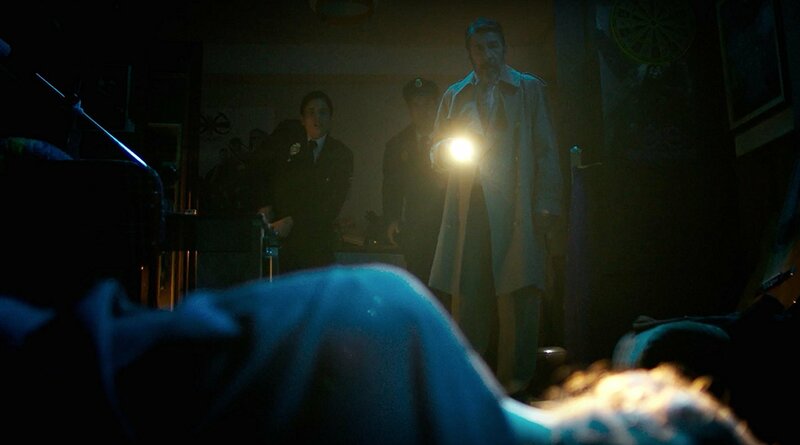 The basis for the screenplay was the ‘Vallecas case’ where teen Estefania Gutierrez Lazari died a ‘sudden and suspicious death’ in the Gregorio Maranon Hospital in August 1991, two months after allegedly having had a brush with the supernatural. The result of having a séance with friends interrupted by a woman of the cloth who broke the ouija board during the summoning. It’s the oldest marketing trick in the book, but one that admittedly still works. 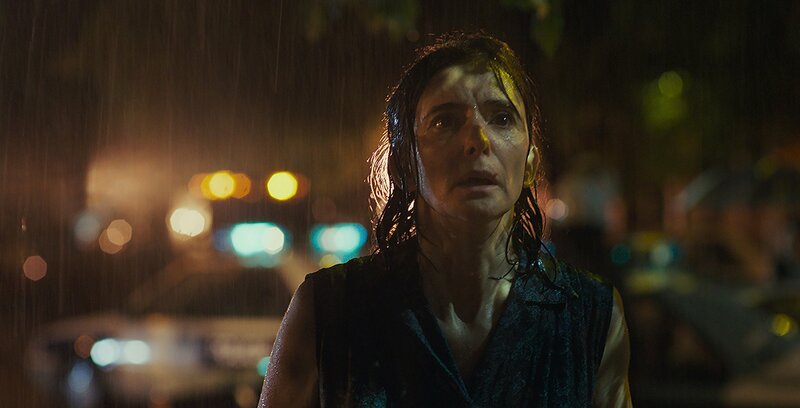 Verónica has atmosphere in spades, but its scares come across as telegraphed and obvious to anybody with a passing familiarity with the horror genre. That doesn’t make it any less effective – and like a seasoned pro Sandra Escacena owns every scene she’s in. It stands to reason that Verónica is the single most talked about Spanish horror movie as of right now. Its cultural importance is as significant as Álex de la Iglesia and his The Day Of the Beast (1995). Whether or not its reputation as Netflix's 'scariest movie ever' is deserved is another matter entirely. Verónica is an effective but hardly riveting example of the form. As a genre piece it pushes all the right buttons and it certainly is atmospheric enough considering its low-key locales, but that alone is hardly worth more than a passing viewing. For novice viewers there’s a good chance that Verónica indeed will be the most scariest thing they’ve ever laid eyes upon. More experienced viewers will find a beautifully lensed and well-written little genre exercise to sink their teeth into. Verónica is only a horror movie if that’s all you expect it to be. It works by the genre’s conventions but at heart it’s actually a heartwrenching drama. Therein lies the strength of Paco Plaza’s directorial debut feature. Like the ghosts it portrays Verónica becomes what you want it to be.